In the last years I used the lifetracking functionality of Oruxmaps for my Brevets: Oruxmaps sent the data directly to my home page where it was received and displayed by the WordPress Plugin Trackserver. However this turned out to not be be very reliable, I think the problems are mainly on the smartphone side. So now I wrote my own App for Android. It does not fix locations by itself. But whenever any other App does, GPS Forwarder will notice and forward the position to a lifetracking server like Trackserver. GPS Forwarder shows log messages explaining exactly the reasons why it might not work – and there are many possible reasons! It is getting more and more difficult to write an App such that it can still work reasonably while running in the background – Google makes it more and more difficulty to „waste“ battery power. GPS Forwarder uses the transmission protocol defined by MapMyTracks. Here you can download the current version. Offering installation with F-Droid is on the TODO list. All other settings can be done later. Normally their default should already be quite usable. 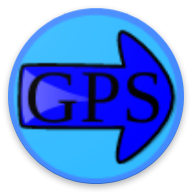 GPS Forwarder is published under the open source license Apache 2.0. The source code is on gitlab. This will normally be the mentioned Trackserver or mapmytracks.com. But I also wrote something for the server: Gpxity. This contains a server script. Below you can find an example: It will receive the data and forward them to two targets: A local directory /var/lib/gpxity_server and the WordPress Plugin Trackserver, directly writing into its data base. There is a separate configuration file for account credentials and for fences: positions within defined ranges will not be forwarded to the respective target. You can define any number of different targets like mailing the entire track every X minutes. This way the phone only needs to transmit the data once. On the server side, Gpxity forwards it to the final destinations.